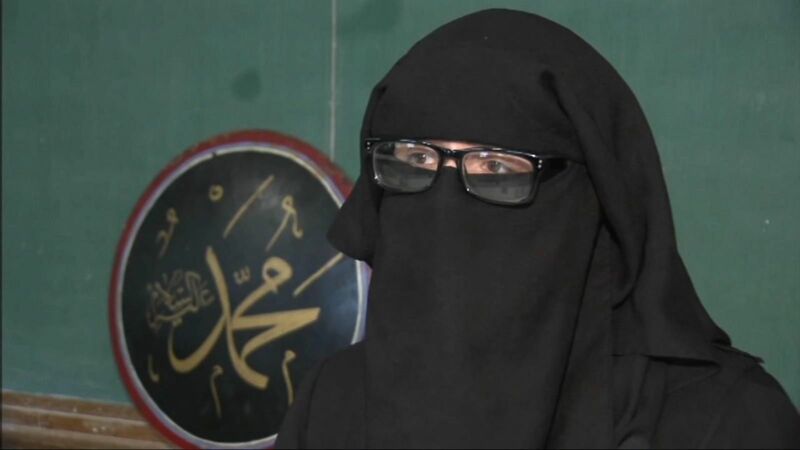 Sarah Safi of Gary, Indiana was kicked out of a Family Dollar store by an assistant store manager who cited the woman's traditional Muslim dress, a niqab and hijab, as being threatening. Ms. Safi, 32, recorded part of the manager's tirade on video. Safi is a mother of four and was born in the USA. told local news reporters she is accustomed to being stared at for her traditional clothing, but hadn't been on the receiving end of such hostile discrimination before. She was going to the store to buy barbecue charcoal for a family celebration. "I might have made it 10 steps into the store and I hear the lady behind the counter say, 'Ma'am, you need to take that off your face or you need to leave my store,'" Safi told a reporter. At that point, Safi began to record the exchange on her cell phone. Safi, who was born and raised in Texas, moved to Gary a few years ago. She told the clerk she wears a niqab and hijab for religious purposes; the clerk, who identified herself as the manager, insisted Safi leave. "I understand, but you have to understand too this is a high crime area and we get robbed a lot. You need to remove that from your face or remove yourself from the store," the clerk is seen saying on the video. "I told her this country is a country of freedom of religion, freedom of speech, and I have a right to wear whatever I want," Safi said. The Family Dollar employee told Safi if she didn't leave the store she would call the police, so Safi left. The worker also had parting words for her as she was on her way out. "Have a blessed day," the employee says on the video. "I'm really saddened. I was born here, raised here all my life and I've never been to an establishment and been treated like this," Safi said. "I would like to sit with her and speak to her about what I believe in, because maybe if she heard and really listened to what I believe it I would open her heart." We deeply regret the incident that occurred recently at one of our stores in Gary, Indiana, and we are committed to taking steps to ensure that no customer is ever treated this way again. The conduct of the assistant store manager at that location was not in accordance with company policy and we are addressing this matter with her. We are also taking this opportunity to address with our workforce the importance of meeting the needs of a diverse customer base and providing a shopping environment that is respectful to all of our customers.